Champions in 2011, but down in 13th, 14th, and 15th in the last three years. A spectacular fall from grace, compounded by the disappearance of on-field skills, both tactically and strategically, as well as a serious discipline problem as they bled penalties and cards of both colours..
Add in the Reds’ penchant for signing a bunch of wayward types.. Think of Cooper, O’Connor, Hunt, Smith……. A coaching roundabout has also not helped them much, though there is some suggestion of continuity with Brad Thorn taking the reins in 2018. At least he was part of the coaching squad last year. Their 2018 fixture list is a well-balanced one, as they start away to the Rebels, return home to face the Brumbies on the 3rd March, and then host the Bulls on the 10th March. They pop over to South America to mark St Pat’s day on the 17th by playing the Jaguares, and then pop straight back to Cape Town to face the Stormers on the 24th March. Then they head back to OZ to play the Brumbies again, but in Canberra, then they head over to Sydney to play the Waratahs, and then they head home for the Chiefs, then the Lions arrive on the 28th April. Straight afterwards they head north to Tokyo, play the Sunwolves, then drop down to New Zealand to play the Hurricanes and then home to play the Highlanders. On the 2nd of June, they are still at home to play the Waratahs. After that Reds pop over to New Zealand again, to tackle the Blues on the 29thJune. Their final two games are both at home, playing the Rebels and then the Sunwolves back at home. Perhaps the bright spot on the Reds fixture list is that they avoid the Crusaders and the Chiefs in 2018. There have been some big changes in the playing squad with Rob Simmonds, Quade Cooper, and Nick Frisby all getting the boot, while Stephen Moore retired from the game. This clean-up by new coach Brad Thorn reflects his focus. He has had the time to observe all those name players in the squad, on the training field, and during games and concluded that they were not pulling their weight. Fifteen of the 2017 squad have left. Although there are 12 new signings, only Jono Lance, Ben Lucas, and JP Smith arrive with top-flight experience. The rest are true rookies. They will also miss Will Genia’s game management as he opted to go to the Rebels on his return to OZ. 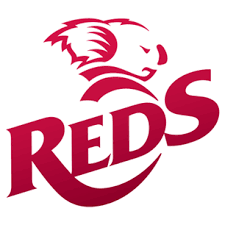 A kinder fixture list, the departure of a number of older, possibly disruptive influences, and a New Zealander as coach should all help focus this Reds. Whether this will translate into success on the field of play remains to be seen. I expect a better season, but still see the Reds in the bottom half of the overall log. Not last in the Aussie conference, that place belongs to the Sunwolves.